Although Barry Allen (Grant Gustin) was first introduced on The CW's flagship DC Comics series, Arrow, before being spun off into The Flash, the Scarlet Speedster has garnered praise from fans and critics in his own right. Season 1 of The Flash largely dealt with the concept of time travel, leading up to Barry's decision to go back in time to save his mother, only to leave history alone. Then, season 2 focused on the multiverse as well as the Earth-2 threat of Zoom (Teddy Sears) and his villainous plans. But, the season 2 finale, 'The Race of His Life,' revisited the idea of Barry saving his mother when the speedster alters history by saving her from the Reverse-Flash - and sees his season 1 self disappear, indicating a massive change to the continuity of the series. 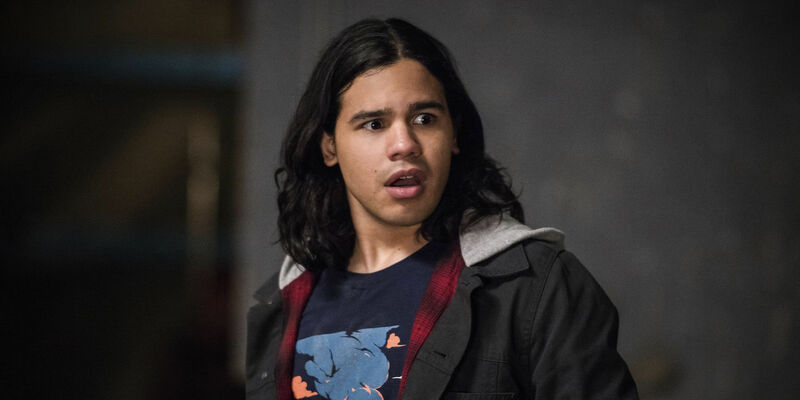 Now, with fans wondering how The Flash will resume when season 3 returns, co-star Carlos Valdes - who plays STAR Labs employee and fellow metahuman Cisco Ramon - has teased what viewers can expect. "All I'm going to tell you is things are going to be different, way different. Not in a bad way; I think in a really exciting way, and it's that difference that's going to inform Barry's trajectory throughout the season, and I think people are going to like it." Based on the events in the final moments of 'The Race of His Life' many (including us here at Screen Rant) have speculated The Flash will be taking on the Flashpoint miniseries event from the DC comics. In the Flashpoint series, Barry awakes in an alternate timeline where he no longer has superpowers and the world is filled with dark, twisted versions of famous DC heroes. Over the course of the series, Barry learns that the alternate timeline was caused by his decision to save his mother. "I think there's every chance of a Flashpoint paradox. Some people expressed reservation about that, like: "Why are we going there?" And some people are all about it. I can say, without a doubt, wherever we go from here, it's going to be unique and it's going to be different. It's going to honor the original chronology and the original lore while at the same time providing a new spin on it and I think it's that spirit that's allowed our shows to do as well as they do so I ask the fandom to have faith." Although Valdes doesn't necessarily confirm The Flash will be adapting the Flashpoint series, he comes as close to confirmation as is possible without spoiling the season 3 reveal. Plus, both of his comments do seem to hint that viewers will be treated to some form of the miniseries storyline during season 3. Certainly, since The Flash season 2 finale featured the event that kicked off the Flashpoint storyline in the comics, it seems likely the show will honor the comics lore as Valdes hinted. But, The Flash season 3 is still in the early stages of production - Valdes said he's only heard the pitch for the first handful of episodes. Additionally, the show will begin production in July aiming for an October premiere, so we'll know more concrete details as season 3 of The Flash gets closer to premiering on The CW.